At the pre-race briefing Saturday evening in the Lake District town of Ambleside, one statement from race director Charles Sproson stuck with me: ‘If you think you’ve signed up for the easier version of the ultra, you’re wrong.’ Although we were not vetted for rock climbing skills like the runners who were still at that very moment finishing the 55k ultra, he assured us that the roughly marathon distance Skyrace course was a unique, legit challenge in its own right, not to be taken lightly. After the briefing I was off to prep my gear (see the extensive mandatory gear list at the end) and turn in for an early night. I had made arrangements to stay in a dorm room near the race headquarters at the University of Cumbria. This is a point to point race, and the next morning we boarded coaches at 7:45 for a 45 minute ride to the start in Seatoller. The vibe and mix of runners felt very familiar. You hear about European runners being slick, smooth, and plastered in spandex. Not the case here in the British Fells. 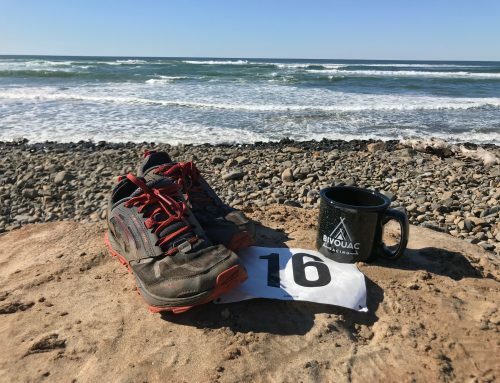 There was a good mix of beards, tattoos, trucker hats, and quirky outsider characters reminding me very much of an American trail race. Many looked like they were probably grizzled specialist on this type of terrain. They seemed to be from the Lake District itself, or the mountainous fringes of Britain Scotland, Wales, and also Ireland. Also different was what the majority of runners had on their feet. Most seemed to be wearing Salomon Fellraisers, Inov-8 Talons, or similar. These are very specialized shoes with deep, aggressive lugs. Shoes with teeth. Surely it was overkill. 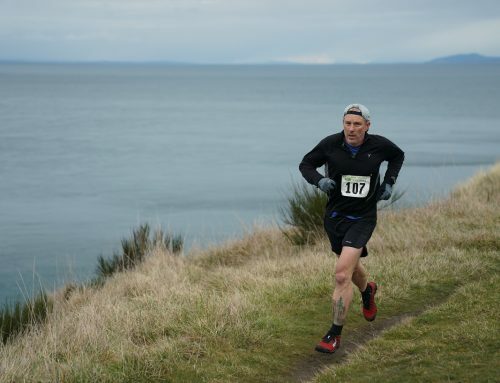 This was billed as a trail race after all, not a traditional, off-trail fell race. I looked down at my Brooks Cascadia. Designed for running Cascade Mountain trails. They were going to have to do the job! Was I out of my element? This was not the Pyrenees, not the Alps, not even Scotland. 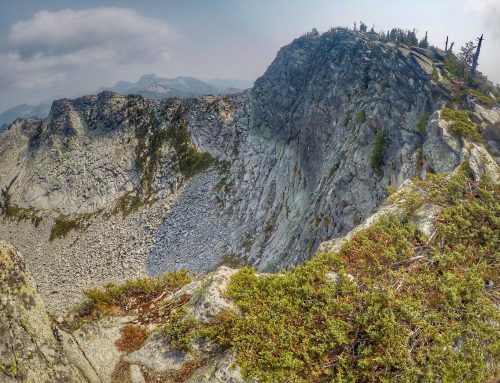 I regularly run in the Cascade Mountains, in the Columbia River Gorge, and on the big volcanoes in the Pacific Northwest, regularly climbing from sea level to 4,000-5000’+. These mountains top out at around 3,000′. How hard could it be? I had respect, but still a bit of arrogance. I was about to have that beaten out of me! Race start was 9:00. It was already about 65 degrees and sunny, very unusual for this part of the world. People were nervous about the heat. I didn’t have any real heat conditioning this year yet, but plenty of experience and was not concerned. A last-minute change to the course added a little more than a mile of flat running at the beginning. Good. A chance to get the blood flowing before the climbing begins, and spread the field a little. At the end of mile 2 we approached the first check point (a Marshal manually scans a fob that was attached to the wrist the day before. 9 check points on the course), and what appeared to be a soaring wall of jagged rocks which served as the trail up Sour Milk Gill. That was in fact what it was. The next half mile would be a hands on rocks conga line climb, setting my overall pace for the rest of the day at a 20 minute/mile average. Cumbria is having a record-setting drought, so the trail was bone dry for the most part; and these were actually fast conditions. The heat may have slowed some down a little, but for me a wet race would have been much, much slower. As it was, my shoes did the job. It was really only warm in the valleys. As we got above 1,000′ the air-cooled considerably, and it was quite breezy. The entire course was scenic, gorgeous, and impressive. 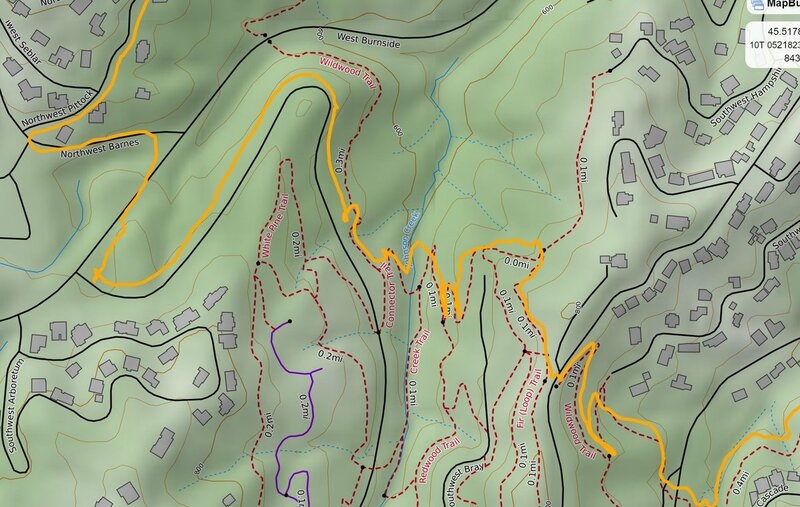 We runners call rocky trails “technical.” I feel that word is not adequate to describe these paths. Relentless meat grinder would be more accurate. Don’t get me wrong, I have huge respect for these ancient routes and all the tradition they represent. Their construction and maintenance is impressive, awe-inspiring and difficult to describe. Video and photos don’t do them justice. You need to have your feet on them to truly experience them. This was one on the birth places of mountain running and I did not take the experience lightly. I won’t give a blow-by-blow description of the course, just general feelings and impressions. In the first half I was moving well up the climbs. Passing some people, and never really getting passed. The downhills however, is where the Fell runners really put on a clinic, smoothly and nimbly gliding past me, elf like, seemingly with little effort. Picture the running sequence at the beginning The Lord of the Rings: The Two Towers. In my mind’s eye I was at least moving like Aragorn, but in reality more like a very tall Gimli the dwarf, clumsily lumbering down the rocks as they floated past me like Legolas. I still felt pretty strong coming into the first and only aid station at 15 miles. It had taken just under 4:40 to get there. That is definitely something to consider at this race. One aid station, otherwise self supported. 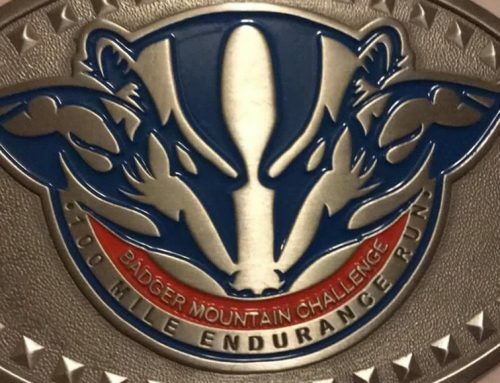 Its only about a 25 mile race, but your time on course is going to be like a very challenging 50k. I ate maybe 300-400 calories at the aid station and had started the race with 600 calories on me. I also had my emergency 200 calories, which I did not eat. My biggest regret was not having more food with me. I underestimated the time I would be out there by 1.5-2 hours, and the course was about 3 miles longer than I was lead to believe. 2,000 calories would not have been too much. Just the last 10 miles took me 3 hours and 45 minutes, significantly longer than a typical full road marathon for me. Descending Bowfell Pike via the Great Slab Gully. Very abstract! I’ll say here that throughout the race we crossed paths with quite a few hikers and walkers, locals and tourist. All were courteous and respectful of the race. Stepping out-of-the-way and usually offering words of support and encouragement. Most seemed excited and inspired by the race. Some awestruck. Back to the aid station. In the mile approaching it, you get to pass through a number of farm field gates, and step over a couple stiles, another novelty of running in Britain. Let me tell you, stepping over a stile at this point when the legs are trashed and seizing up is no easy feat! I saw my support crew there; Helen and our good friends Sam and Lee. Helen later informed me that this was the most civilized aid station she had ever been to. It was at a National Trust Pub offering up fresh homemade brownies. None for the runners though, just typical aid station fair. It was not yet time for me to enjoy the pub. Time for the business end of this thing. I left feeling good. That quickly changed. The climb out of Langdale Valley and up Harrison Stickle was grueling to say the least. According to my watch, mile 16 took 34:51 and mile 17 took 40:04. Ouch. This must be what Vertical K stuff is like. I felt some strength return on the downhill, and I could run the flatter parts a little, but I was spent. The final 600′ climb up Loughrigg Fell at 22-23 miles really finished me off. However not long after that summit, the welcome sight of Ambleside came into view, and I made the final descent into town and the finish. 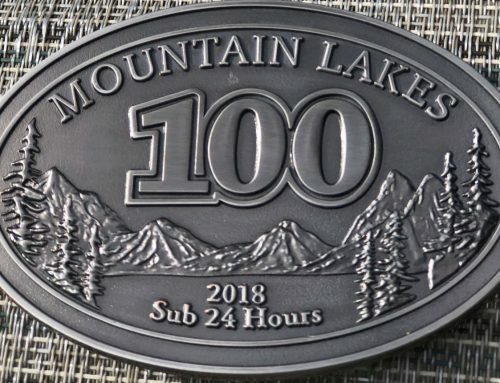 As is somewhat typical for me during these things, my thinking around miles 18-23 was that this had been a great experience and I was glad I did it, but this particular extreme style of running is not really for me. However just few hours after the race, my mind starts wonder, how can I improve next time! The race organization was excellent and virtually seamless. Even though there was only one aid station, it was a complicated event with a lot of logistics. The course markings were superb. We were required to carry a map and compass, but there was never any doubt of the route. Significant sections of the course went through patches with no discernible trail, but the next red flag was always visible. I did four key workouts in the 7 weeks leading up to the race. These ranged 22 to 30 miles with about 7,000′ to 9,000′ of elevation gain per workout. On paper this was more than adequate for a strong performance at the race. Reality is different from paper. The X-factor was the unique technicality of the terrain. I did anticipate this, but not to the degree proved by feet on the ground. It cannot be understood without direct experience. I suppose training was adequate, as I did finish mid-pack, but not what I would consider a strong finish. The fells demand respect! I experienced pain and cramps in parts of my legs where I never had before, particularly along my inner thighs close to the knees, whatever that is. Also on the backs of my knees. I’m no anatomist. The pounding and grinding was relentless on the lateral and small stabilizer muscles that don’t get a great deal of conditioning. Every break in running form is amplified by my exceptionally long legs. Nearly every foot fall on this course offered a unique break in form. Feet landing at every angle imaginable, rarely flat. I turned my right ankle once, and left ankle twice. Typically I turn an ankle maybe once every couple of years. As I mentioned before, this was a bone-dry, “fast” year. I can only imagine what it would have been like wet, which is the natural state for this part of England. Hopefully the body and brain learned some lessons. A big THANK YOU to all the volunteers, marshals, race organizers, etc. This is a world-class event while at the same time maintaining a grassroots, local feel. A huge shout out to our friends Sam and Lee for the their support, logistical assistance, and local expertise! Finishers Cider Label. Cider made by the race director personally. Mountain/Trail running shoes with minimum 3mm tread, e. g. Walsh PB, Salomon Fellraiser, La Sportiva C-lite, Inov-8 X-Talon or Mudclaw.